The importance to preserve and support young talent has been always crucial for Maccaferri. In line with this, Maccaferri China has created an ad hoc program “Love Achieves Dreams” to aid less-privileged students of Jianhe County in pursuing their university studies. 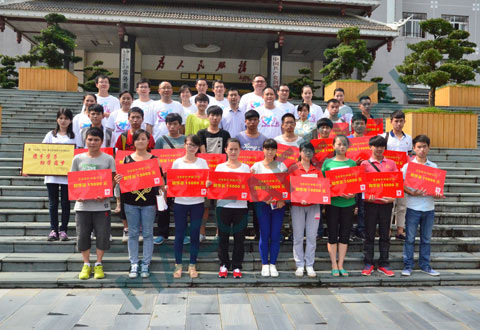 The program has met the support of the local government and the social community of Jianhe. Jianhe County is located in the southeast of Guzhou, China. Maccaferri has worked in the area through the Qingshuijiang ecological revetment engineering project and it decided to aid the community through a scholarship program for their excellent qualified youths. Thanks to the Love Achieves Dreams Project, 20 (7 girls and 13 boys) fresh high school graduate students have been awarded 4 year-scholarships that will help them to support their university studies. All the students got the highest score in national college entrance examinations and they come from needy backgrounds. Through these scholarships, these deserving students will have the chance to continue their education. Half of them will attend engineering faculties whereas the others will follow humanities or scientific faculties. Additionally, Maccaferri will offer the students 3-6 months paid internship at the end of their 4th year of studies. Maccaferri is delighted to give this opportunity hoping that these students will continue to study hard, never give up and return to the community with more knowledge and experience.